Dr. Sastry is currently dean of the College of Engineering at the University of California, Berkeley. 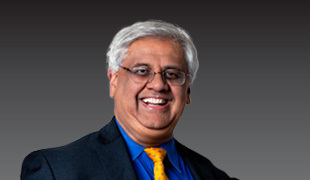 Considered a technology visionary, Dr. Sastry has an extraordinary record of achievement and his expertise encompasses diverse areas, including both IT and life sciences. In 2010, as a result of his many achievements, Dr. Sastry received the Asian Pacific Fund’s Chang-Lin Tien Education Leadership Award. He was formerly the Director of CITRIS (Center for Information Technology Research in the Interest of Society) and the Banatao Institute @ CITRIS Berkeley. In February 2007, he was appointed the faculty co-director of the Blum Center for Developing Economies. Dr. Sastry served as chair of the Department of Electrical Engineering and Computer Sciences (“EECS”) at UC Berkeley from January 2001 through June 2004. In 2000, he served as director of the Information Technology Office at the Defense Advanced Research Projects Agency (“DARPA”). From 1996-1999, he was the director of the Electronics Research Laboratory at Berkeley, an organized research unit on the Berkeley campus conducting research in computer sciences and all aspects of electrical engineering. He is the Roy W. Carlson Professor of EECS, and holds faculty appointments in the Departments of Bio¬engineering, EECS and Mechanical Engineering at UC Berkeley. Prior to joining the EECS faculty at Berkeley in 1983, he was a professor at MIT. Dr. Sastry has received a number of honors, including a National Science Foundation Young Investigator Award, a Distinguished Alumnus Award of the Indian Institute of Technology, and the President of India Gold Medal. In 2001, he was elected to the National Academy of Engineering and is a recipient of the Donald P. Eckman Award. He was elected to the American Academy of Arts and Sciences in 2004. Dr. Sastry received his Bachelor of Technology degree from the Indian Institute of Technology, Bombay, 1977, his MS in EECS, MA in Mathematics, and PhD in EECS from UC Berkeley in 1979, 1980, and 1981, respectively.